EV Grieve: Report of a fire at 133 E. 7th St. 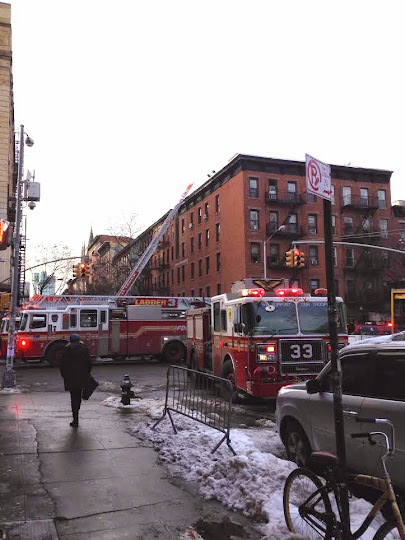 The FDNY arrived en masse at the corner of Avenue A and East Seventh Street shortly after 4 p.m. … where there was a report of a fire at 133 E. 7th St…. 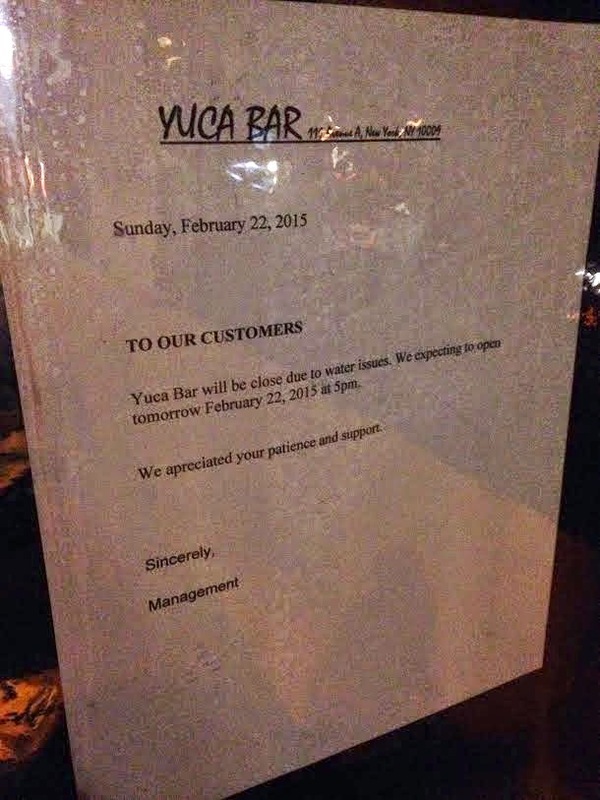 … and Yuca Bar is closed due to "water issues," per the sign…. Saw a couple trucks on 2nd Ave and 6th St around noon, as well. Second time in two weeks Yucca tried to burn down. Last time was in the wee hours, like 3am on a school night. What's going on there? This is why I would never live in a building with a restaurant on the first floor. The problem is they are in these old buildings that don't even have sprinkler systems. It's so dangerous. Kitchen fires are not uncommon in restaurants. 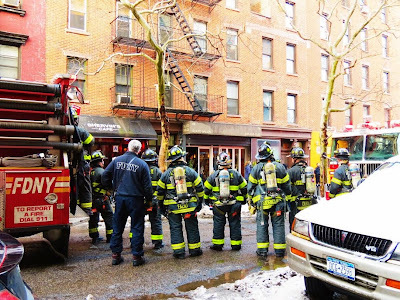 Residential buildings that house restaurants--especially all the old ones--should have to install sprinkler systems. All restaurants have fire suppression over their cooking areas. 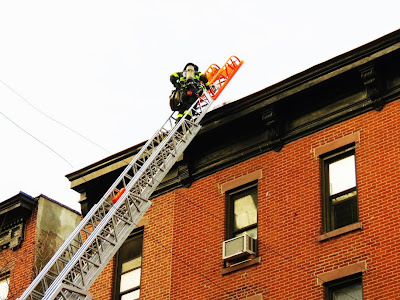 These fires usually are in their exhaust stacks that vent out on the roof. Snow or ice can block them and grease that gunks up can catch fire. Notorious centuries old government pyros, they set em, put em out, displace, maim, kill for Rockefeller.